Registration is now open for the Institute! Fees are $2200 for undergraduate and graduate students and $2600 for non-student affiliates (student status will be subject to verification). This covers all Institute programming, including all courses, events, Wednesday workshops, lectures, poster sessions, 3 Minute Thesis competition, social hours, and satellite conferences / symposia held on the weekends. It does not include housing or food. After your fees are paid, you will receive an email with your system login information so that you can start signing up for classes! Planning to apply for on-campus housing? Be sure to indicate that on the Online Application. Note that we will be making dorm/meal plan arrangements on a first-come, first-served basis based on when your Online Application is submitted. Priority housing arrangements will be made to the first 250 students who apply. UC Davis will not provide refunds for any fees in connection with the 2019 Linguistic Summer Institute, including, but not limited to, the Institute Participation fee, UC Davis Housing fee, excursion trips, and/or merchandise purchases. There are no refunds for non-attendance or for late arrivals/early departures during the Institute. In the event of an emergency, cancellation requests will only be considered on a case-by-case basis and are not guaranteed. A written request must be submitted to lsa.institute@ucdavis.edu no later than June 1, 2019 for consideration. Cancellation of participation to the 2019 Linguistic Summer Institute, and any associated refund of payments, are granted at the sole discretion of the 2019 Linguistic Summer Institute. As participants are responsible for arranging their own accommodations to attend the 2019 Linguistic Summer Institute, UC Davis will not consider reimbursement or refund requests for any type of travel and/or lodging expenses paid to a third party vendor. Should a participant need to withdraw during the course of the 2019 Linguistic Summer Institute, a refund request will not be considered under any circumstances. ► Can I register for the Institute? Yes! Go to the following link to complete registration: Online Application. See our Registration page for more details. ► Who is eligible to register and attend? Anyone who is interested! For liability reasons, we require attendees to be 18 years of age or older. There will be no exceptions to this policy. 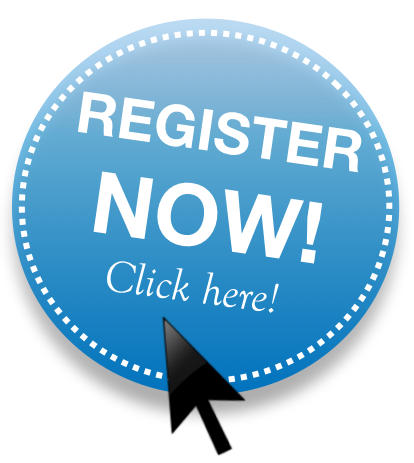 ► What is the benefit to registering now? If you intend to stay on campus during the Institute, you should complete the Online Application ASAP. We will be making dorm/meal plan arrangements on a first-come, first-served basis based on when your Online Application is submitted. Priority housing arrangements will be made to the first 250 students who apply! ► Do I have to be an LSA member to attend the Institute? No, but you should considering joining the Linguistic Society of America! It’s a great organization that keeps you in the loop about recent advances in linguistics as well as job/internship opportunities. ► How much does registration cost? Registration fees are $2200 for undergraduate and graduate students and $2600 for non-student affiliates. This covers all Institute programming, including all courses, events, Wednesday workshops, lectures, poster sessions, 3 Minute Thesis competition, social hours, and satellite conferences/symposia held on the weekends. It does not include housing, excursions, or food. Please note that student status will be subject to verification. ► Who counts as a student for the student rate? To be eligible for the student rate ($2200), you need to be a registered student within 5 months of the Institute (before or after). ► I'm currently taking 1 course at my university. Does this make me eligible for the student rate? If you’re officially enrolled in that course, then yes! ► Do I have to pay during registration? No, you don’t have to pay during the Registration step, but we will be in contact about payment starting April 12. You will need to pay these fees before you can enroll in classes. ► Can I change my registration answers? Yes. When you complete the online registration, you will be sent a confirmation email with your responses. If you wish to change any of them, contact info.lsa.institute@ucdavis.edu. ► What if I'm an international student? We are excited for you to come! Please be aware that we will not be handling any visa requests. We recommend you apply for a tourist B-1 visa. If you need a letter of invitation for your application, notify us. ► What if my plans change and I can no longer attend the Institute after I have paid? Have other questions? Check out our FAQ page!